This weekend the Guardian newspaper in the UK published the Along the Pipeline project. I am very excited to see this major international publication pick up this body of work and share it with a wide audience. It will drive much needed attention towards the massive Energy East pipeline proposal. Check It Out. Ruth Chapman (R) talks with the owner of the Tafarn Dwynant in north west Wales. Pint in hand, I make my way to the corner table bathed in sunshine at the Tafarn Dwynant. Ruth Chapman joins me. Her glass contains orange juice and her baby bump shows clearly. This is the hangout for employees and students at CAT, the Center for Alternative Technology, near Machynlleth, Wales. 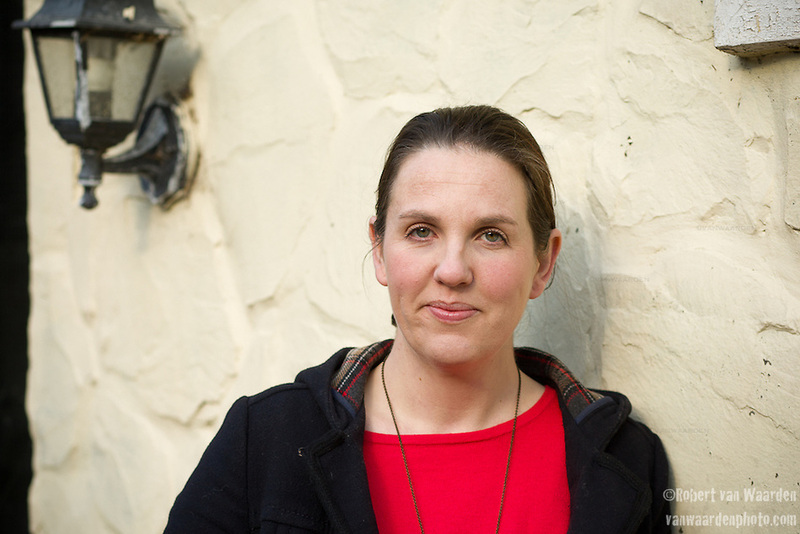 Ruth studied Environmental Management at university and moved to Machynlleth, or ‘Mac’, to work in the wind energy department at renewable energy company Dulas. While working at Dulas she decided to enrol in the Master’s program at CAT and the subject of her thesis has brought us together today. One day, while attending a debate on TAN 8, the Welsh proposal for renewable energy, Ruth was surprised to find the room packed to the rafters. Emotions were running high and most of the crowd was anti-wind. Ruth had discovered her thesis subject. A wind turbine in the Welsh hills, United Kingdom. Her thesis was born. It is easy to list the reasons often cited by people against wind energy; visual, noise, flickr, and supposed health impacts. But Ruth was interested in ‘why’ people are opposed. She selected a small sample group of anti-wind people and was surprised to find that most of them were people that she could have a pint with. “I had assumptions and stereotypes about the type of people I was going to be talking to. But I have to say that most of them really disproved those assumptions and challenged me. I really enjoyed this, it is a healthy thing to do, but it sort of conflicted me.” What Ruth documented couldn’t really be called NIMBYism. The term itself, not in my backyard, implies that a person would be willing to have a wind turbine built somewhere else. But Ruth was surprised by the attitude of zero tolerance for wind turbines anywhere in the UK consistently expressed by her sample group. Ruth’s conclusions are varied. 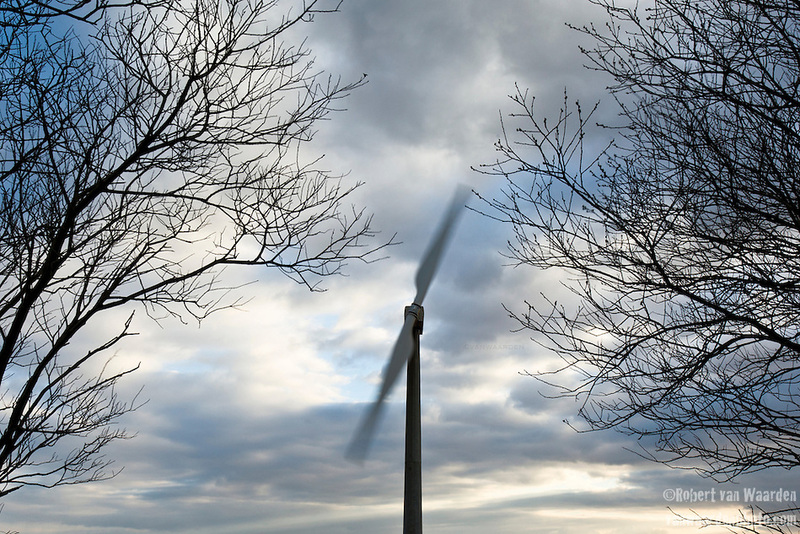 Several factors such as fairness, improper consultation, market mechanisms and government policies all play a role in creating anti-wind sentiment. One individual was upset by the ‘check box’ consultation carried out by the developers and didn’t feel that their concerns were addressed. Another objected to the map produced by the developers that didn’t accurately represent the landscape. They didn’t feel that they could they trust the developers if they didn’t make the right map. Furthermore, the gulf between a slick, city presentation from the developers and a local Welsh town often put things on the wrong foot. Ruth’s other theory is that the historical relationship between England and Wales might also play a role. She thinks that the Welsh felt like they were just providing the resources once again for the English. 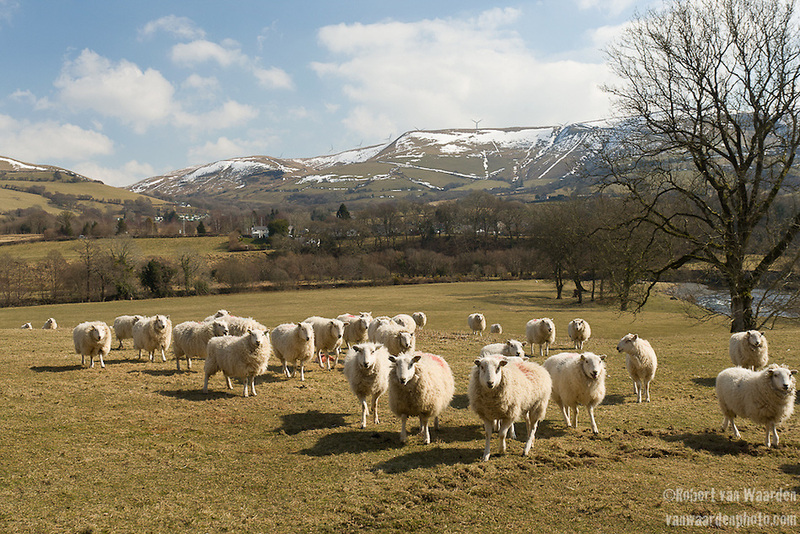 Sheep in a pasture in Wales. In the background is the Ceemase wind farm. Ruth didn’t come up with any solutions and that frustrates her. She does think it is necessary to do a better job telling the story of the future of energy and climate change in the UK. Ruth thinks that more people would get behind wind energy if this were done. Ruth wants to do more with this research but right now her first baby is taking priority. She loves her job working for Dulas and she hopes to keep working in this industry for the foreseeable future. On the way back to England the next day I pass the Ceemase wind farm. 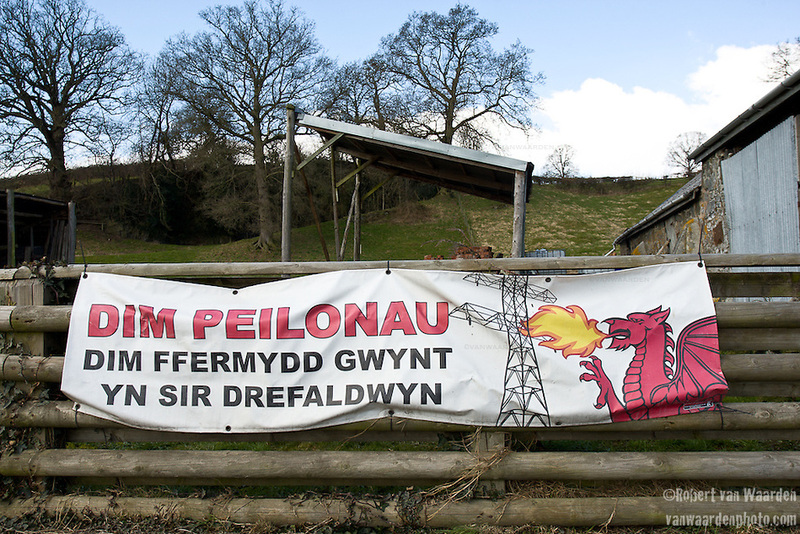 The rolling Welsh landscape makes it difficult to see and it is probably the most well hidden wind farm I have seen. But the fact remains; navigating the waters of the anti-wind crowd will continue to be a challenge for developers in the years to come. 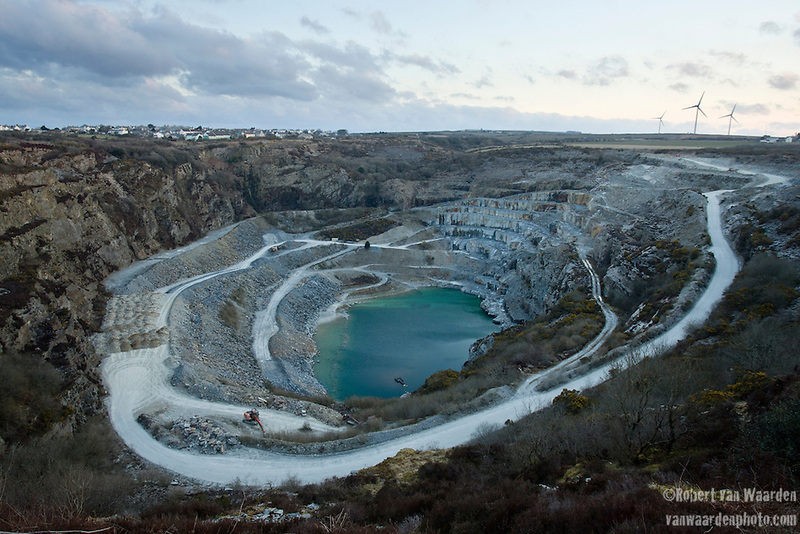 The slate quarry in Delabole, UK. The Harman’s electricity bill is significant so Peter spent some time researching the best rates. He noticed an article in the local paper, The Slate, with details about the new Delabole Local Tariff from Good Energy. 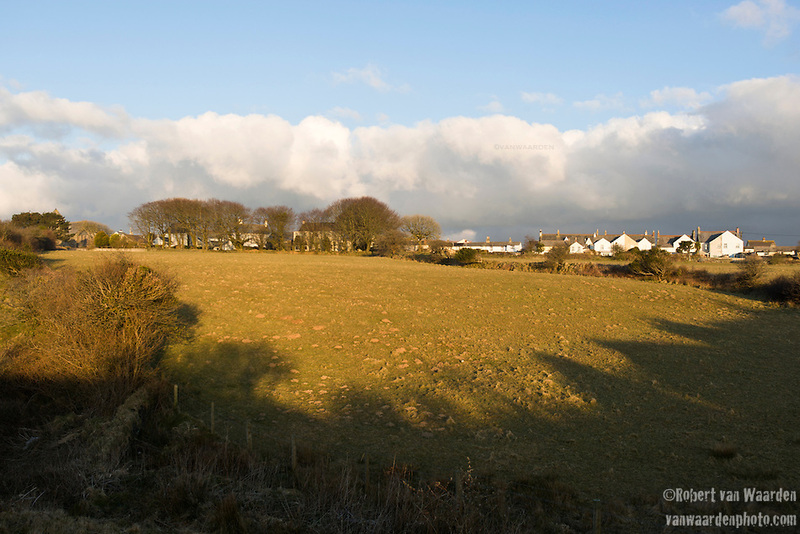 The sunrises on the little village of Delabole in the United Kingdom. The concept is simple. Good Energy owns the aforementioned wind farm and their customers living within two kilometres of the site are eligible for a local tariff. The idea is that those that have it in their backyard should benefit from it. This is something that the developers of Delabole wanted to do at the very beginning but only recently a change in regulations allow for it to happen. 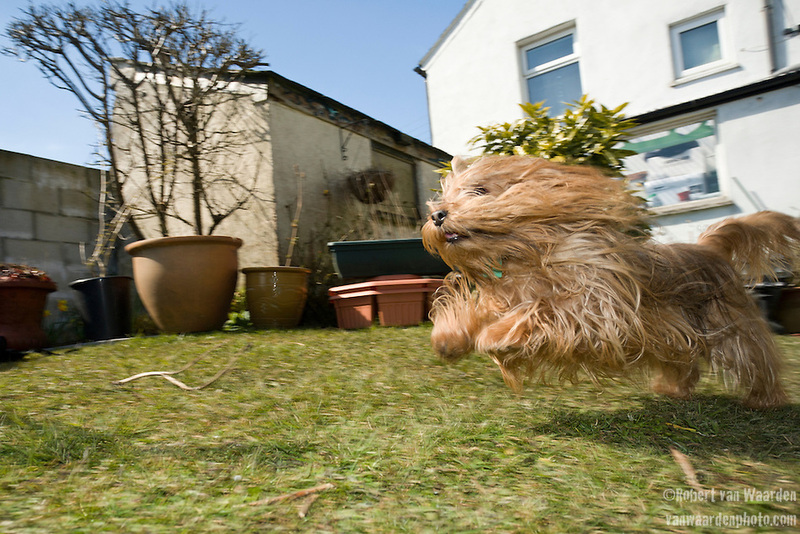 Phydeau, the Harman’s dog at their home in Delabole, the UK. The tariff gives a 20% discount on standard energy prices and includes an additional ‘windfall’ bonus. If the turbines exceed their expected yearly performance each household gets 50 pounds. It is the first scheme of its kind in the UK and puts the community at the centre of renewable energy generation. After speaking to Good Energy, Peter didn’t even look at other rates. He immediately signed up and as of April they have been receiving their discounted wind energy. He believes that he will save around 70 pounds per year, no small amount for a retired couple. 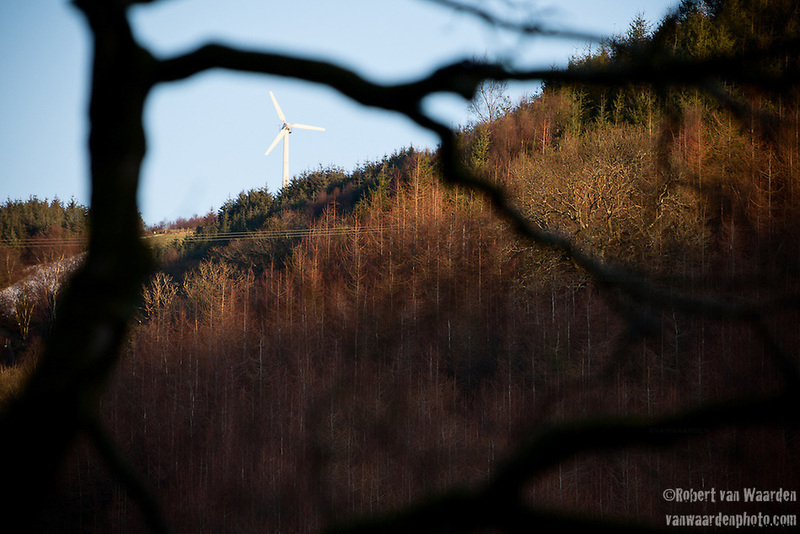 An old two bladed wind turbine framed by trees turns in the wind near Delabole, Cornwall in the United Kingdom. 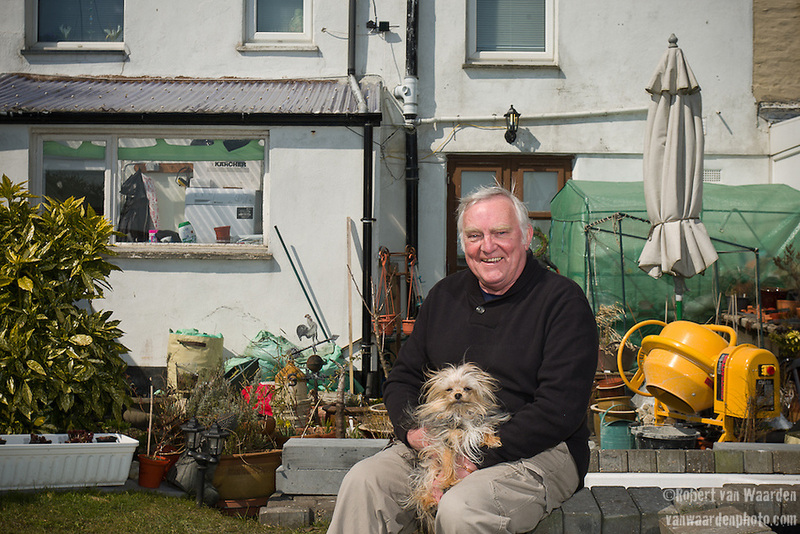 Peter Harman and his dog Chalkie at their home in Delabole, UK. 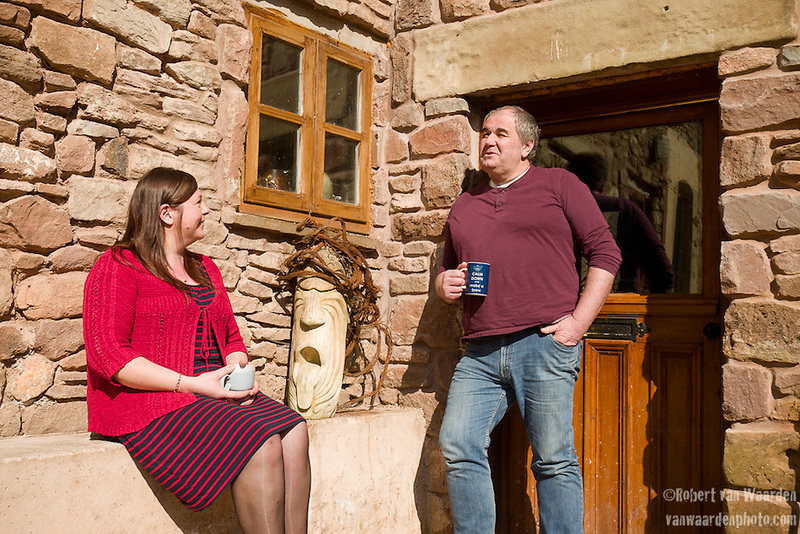 Sue and Andrew Clarke enjoy a cup of tea at their home near St. Briavels. Once you get them started it can be hard to get them to stop. Talking about wind energy, Sue and Andrew Clarke bounce of each other, echoing or filling in the gaps when required. They love what they do and like everyone with a strong passion, they have sacrificed a lot to get where they are today. Sue and Andrew live near St. Briavels in the Forest of Dean in western England. For 20 years they worked in large multinationals developing energy projects. When Sue started to work with the Transition Towns movement in her spare time they found their personal and professional lives diverging. During the week they could be found working on large energy projects and then on the weekend maybe marching in London for action on climate change. They decided it was time to move on when a host of factors collided in 2008: economic downturn, support for renewables from the federal government, and Andrew’s professional life leading towards nuclear energy. After many years of senior management in big business, they staked their pensions on wind energy and community owned development and founded Resilient Energy. They haven’t looked back. “The best step that we have ever taken” says Andrew. 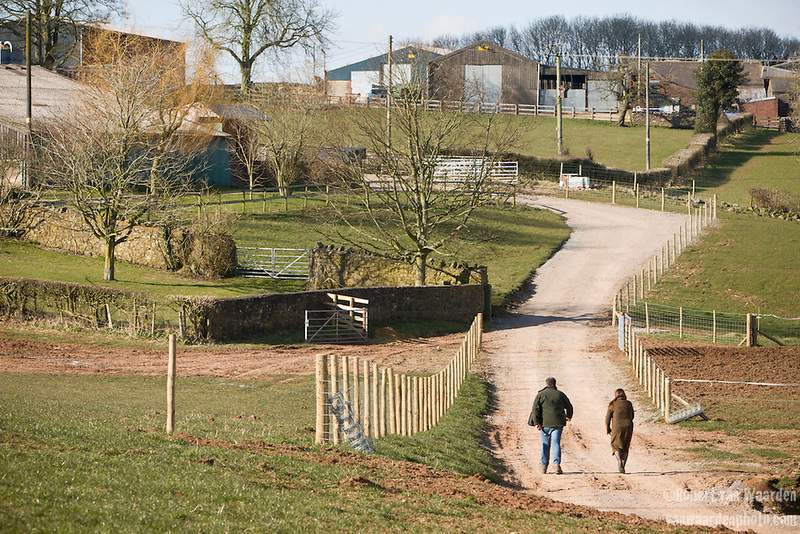 Sue and Andrew Clarke walking up the lane away from the St. Briavels wind turbine. They devised a model for wind energy that will help meet, but not exceed, the energy needs of a community. This includes 50/50 joint venture ownership with the landowner with up to 70% of the revenue going back into the community. A key component of their model is crowd funding. “With a feed in tariff you can get community projects off the ground, there is a guaranteed revenue stream from the government. There aren’t many businesses that you can get paid for 20 years for everything you generate. You can’t make pots and guarantee that someone is going to buy it,” says Andrew. They worked with the crowd funding company Abundance and within four months had oversubscribed their St. Briavels turbine, raising a total of 1.6 million pounds. Over 450 people bought debentures with approximately 50% of them coming from the community. The youngest investor was 18 and the oldest was 82. In a country that is known for it’s anti-wind lobbies, Sue and Andrew had a great experience the first time around. There were over 50 letters of support submitted from the community and only one against. However, their next couple of projects are stuck in planning. A well-organized anti-wind lobby is one reason, but ambiguity from the federal government is also a clear factor. “We need a strong clear message from the government,” says Sue. Dealing with the anti-wind lobby, Sue and Andrew have been forced to grow a thick skin. However, usually when they are really feeling low, the phone will ring from a stranger gushing enthusiastically about the St. Briavels turbine. “Wind energy is a bit like marmite. No one goes around saying I love marmite, it is the best thing ever,” says Sue. Sue and Andrew are particularly proud of the trickle down affect their work has had on their three sons. There were times when the money wasn’t readily available in the last few years because of their decision, but their sons have developed a greater understanding for this work and the issues. Their middle son is following in his parent’s footsteps and studying environmental science at university this year. The Forest of Dean has a long history, it helped spark the industrial revolution and there is still coal to be found. There is a lot of energy in these hills and it seems that wind is the next logical step. “Hopefully longer term it will get the communities thinking about what they actually need to be more resilient, thinking about the bigger picture,” says Sue. 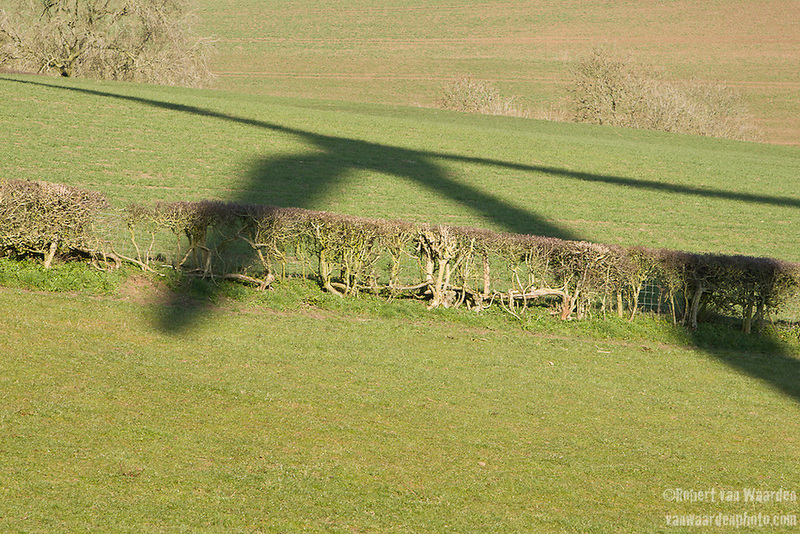 The shadow of the St. Briavels wind turbine on the green pastures of St. Briavels. 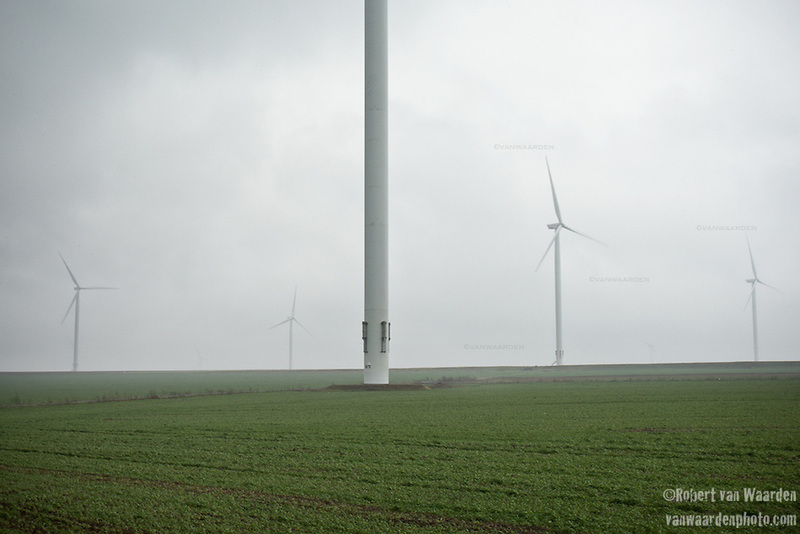 The 600mw Fantanele-Cogealac wind farm in Romania. “When you drive from Constanta you can see the whole area is filled with wind turbines and it is a nice sensation, a nice feeling,” says Miklos Szilagyi, construction site manager for the largest wind farm in Europe, the 600MW Fantanele-Cogealac in Romania. Miklos says that he “fell into” this job. He began working in the construction industry when he finished university over 30 years ago. 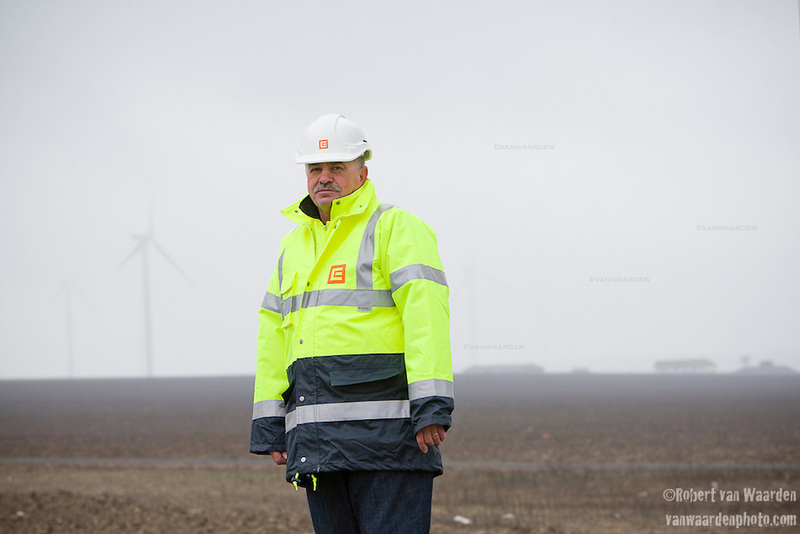 His experience took him to Hungary, Greece and on projects across Romania but he never thought that he would manage the construction of the largest wind farm in Europe. 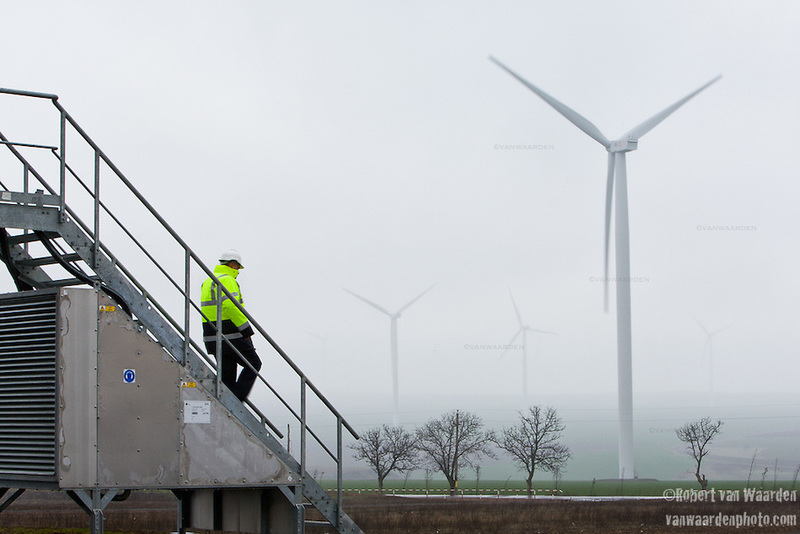 Miklos Szilagyi descends the stairs of a turbine on the Fantanele-Cogealac wind farm in Romania. “It wasn’t easy,” he says. They were starting from scratch and everyone was learning on the job. “Each day during the construction we were thinking, what will happen today. There were a lot of issues,” says Miklos. They had to pour 240 foundations, each one different: some were situated on rock, some needed pilings and some were easy. Miklos doesn’t think that there are two foundations that were made the same way. Each required 450m3 of concrete and 40,000kg of steel. The first loads of cement had to be shipped from Germany until Romanian manufactures managed to produce the grade required. They even had to construct a new concrete plant onsite to keep up with demand. 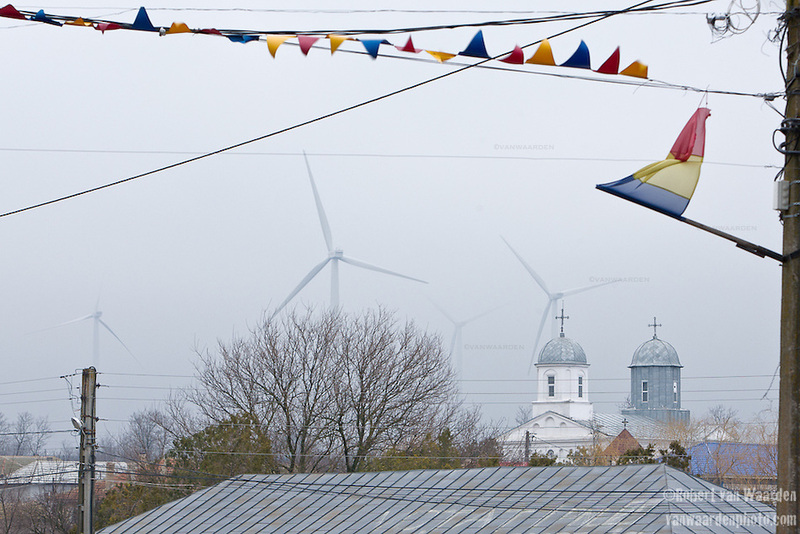 Wind turbines backdrop the small Romanian town of Fantanele. It took three and a half years of work but the wind farm came online in November of 2012. Wind energy accounted for 19% of the Romanian grid production when Miklos showed me around the site. Fantanele-Cogealac was flatout producing 580MW. 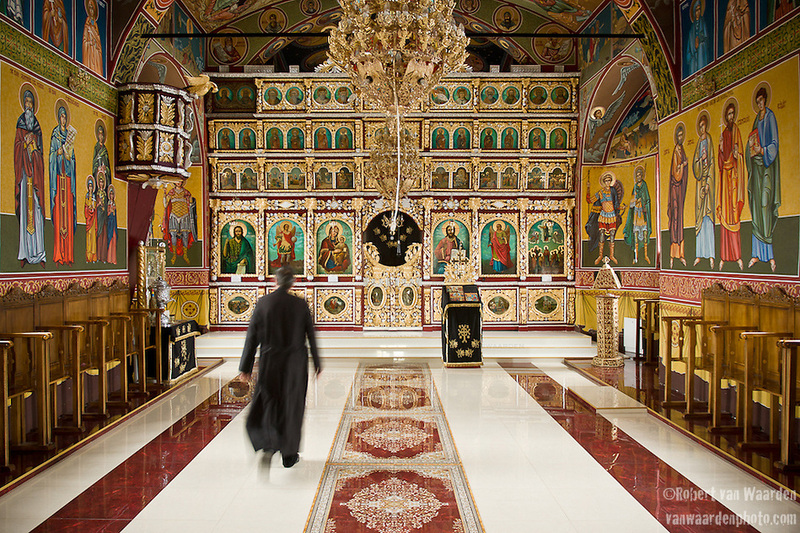 The newly painted Orthodox church in Fantanele. Fantanele-Cogealac is giving back to the neighbouring communities. The church in Fantanele has been repainted with support from the wind farm; a new market has been constructed; and furniture has been bought for the schools. 300 kms of roads have been built for the turbines, which means local farmers can now access their land in wet weather. Similarly, the villagers are working to improve their homes and taking more pride in their community. A lot has changed here in five years and the guaranteed tax income is going keep the changes flowing. Miklos’ skills are required at an upcoming hydro project and he will soon sign off at the wind farm but he is walking away proud of his work and his turbines. “They are very nice. Especially they are nice because they look nice,” he says.